Former CDC Director Arrested And Charged With Sexual Misconduct The New York Police Department told NPR that Frieden allegedly "grabbed a victim's buttocks without her permission" last October. On Friday morning, Frieden, 57, turned himself in, a spokeswoman at the Brooklyn district attorney's office told NPR. He was charged with two misdemeanors and a violation: third-degree sexual abuse, forcible touching and harassment, the last of which carries a fine but no jail time. Later in the day, Frieden was arraigned in Brooklyn Criminal Court and released without bail. He had to give up his passport and Judge Michael Yavinsky issued an order of protection. "This allegation does not reflect Dr. Frieden's public or private behavior or his values over a lifetime of service to improve health around the world," a spokeswoman for Frieden told NPR. He served as director of the CDC from 2009 and until 2017, leading the response to the Ebola epidemic and the H1N1 swine flu pandemic. He stepped down as President Trump took office. Prior to joining the federal agency, he was the New York City health commissioner, where he led a ban on smoking and the elimination of trans fats from restaurant menus. In the '90s, he led a program to control tuberculosis in New York, lowering incidences of multiple-drug resistance. That led to work with the World Health Organization's TB program in India. Earlier this year, he told WHO that he got into his line of work to help people. "Hiking through the mountains with my father, he commented that I was interested in health and politics and that public health combined both. ... My father, an excellent physician, had a simple philosophy of life: You've got to help the people. I chose a career that would give me the privilege of helping as many people as I could." 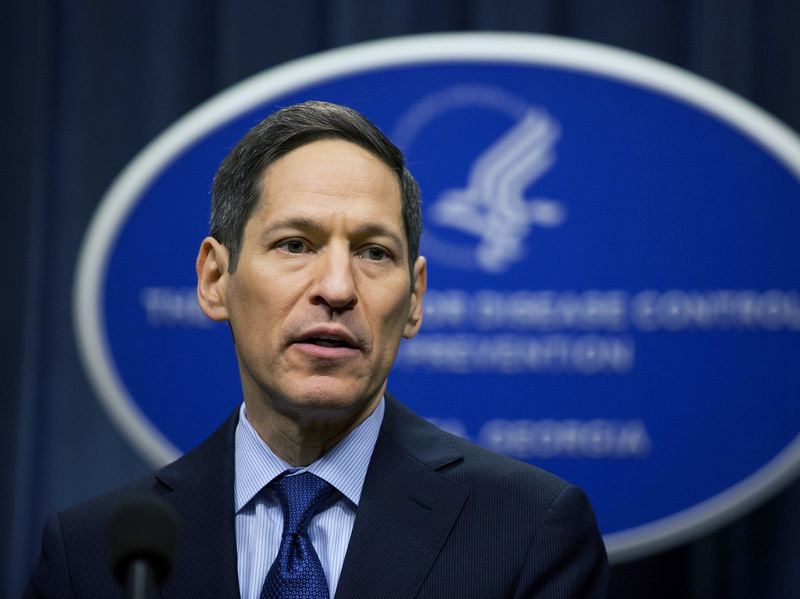 After he left the CDC, Frieden launched a $225 million initiative called Resolve to Save Lives, part of a nonprofit global health organization called Vital Strategies. Its president and CEO, Jose Castro, told CNN that the groping accusation came from a friend who knew him and his family for more than 30 years. "In all of my experiences with him, there have never been any concerns or reports of inappropriate conduct," he said. He added that Vital Strategies had conducted an investigation in which every staff member of his team was interviewed. "This assessment determined there have been no incidents of workplace harassment," he said. "Vital Strategies greatly values the work Dr. Frieden does to advance public health and he has my full confidence." Frieden's next court date is scheduled for Oct. 11. A previous version of this story incorrectly said creating the Resolve to Save Lives initiative cost $225. It was $225 million.